The Sacrament of Penance engages us in the embrace of God’s mercy. Striving to conform our lives more perfectly to the life of Jesus, the sisters make frequent use of this sacrament. All who are in mortal sin need the Sacrament of Penance to be restored to a state of grace. However, this is not the only purpose of this great sacrament. On a natural level, consideration of our sins and failings, along with resolution for improvement, is a necessary tool for human growth. On the supernatural level, we know that we are dependent upon God’s grace for any good that we can accomplish, whether for the good of our own souls or that of others. Growth in the spiritual life requires rejection of even venial sin. No sin is compatible with the life of charity to which we are called. Christ’s love for the Father and for His brethren is the love we desire in our own lives. Sin separates us from God’s will and causes division among men. If we are to work toward the establishment of God’s kingdom we must be vigilant in rooting out sin. 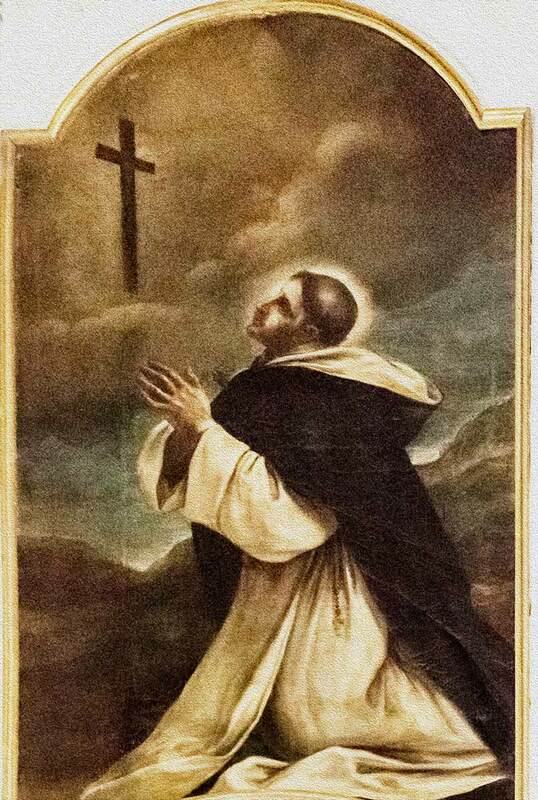 St. Dominic expressed great pity for sinners and offered himself for their conversion. He also encouraged the friars to ever greater growth in perfection. The early brethren even commented that they were happy to receive correction from him, as it was given with obvious solicitude for their souls. We can imagine St. Dominic today urging us to fervent use of the Sacrament of Penance, with pity for our sins and desire for our holiness.